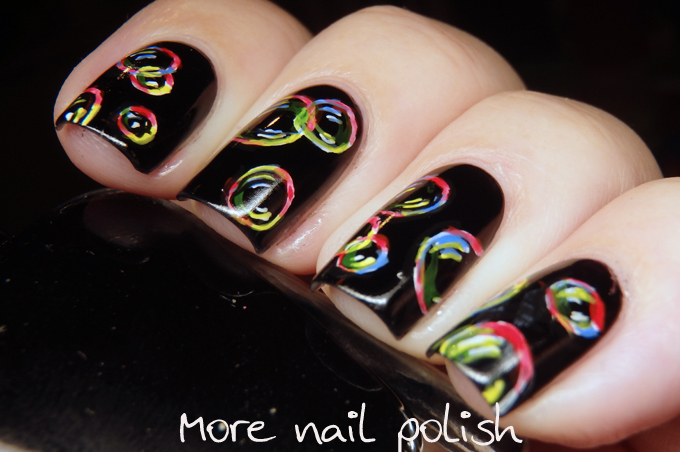 For day three of this black week I've attempted a design that I saw blogger PiggieLuv create in April last year - Rainbow bubbles. Mine didn't turn out anywhere near a awesome as hers, but I was still pretty happy with them. 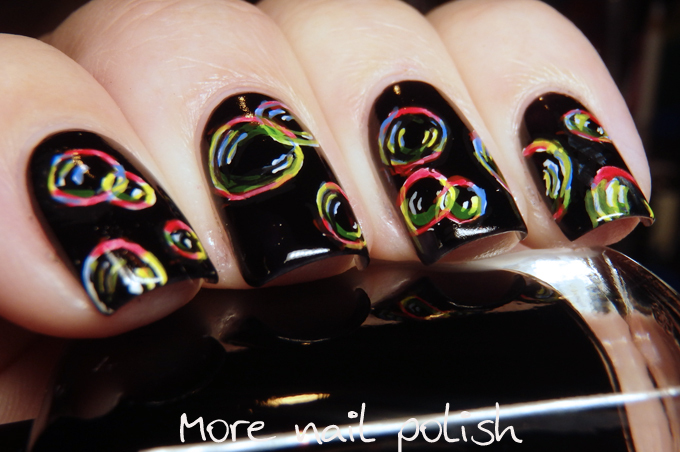 Her video tutorial is excellent, so you should check it out if you haven't seen it already. 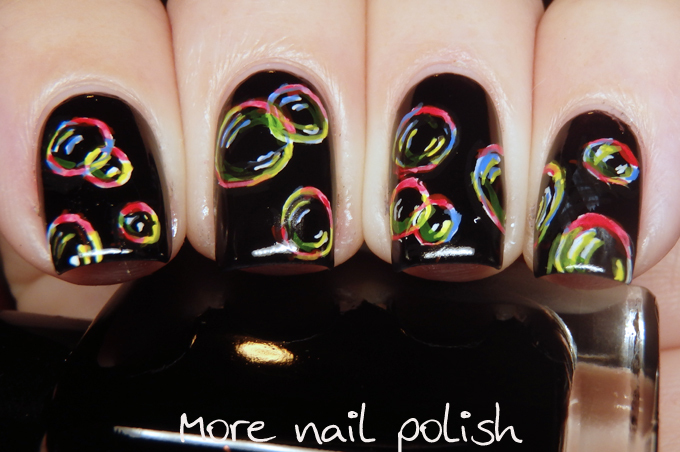 I used acrylic paints for the bubbles. 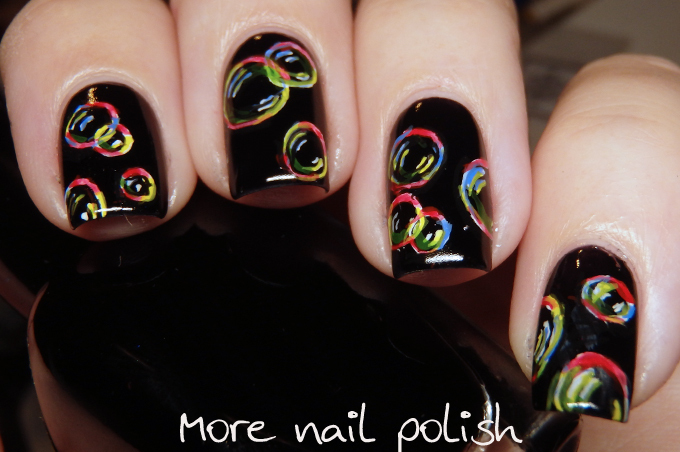 I don't use paints very often and usually use nail polish, but this design really needed something a bit easier to work with. Wow. Just wow! Love how these turned out! These are so cute! They look wonderful! !